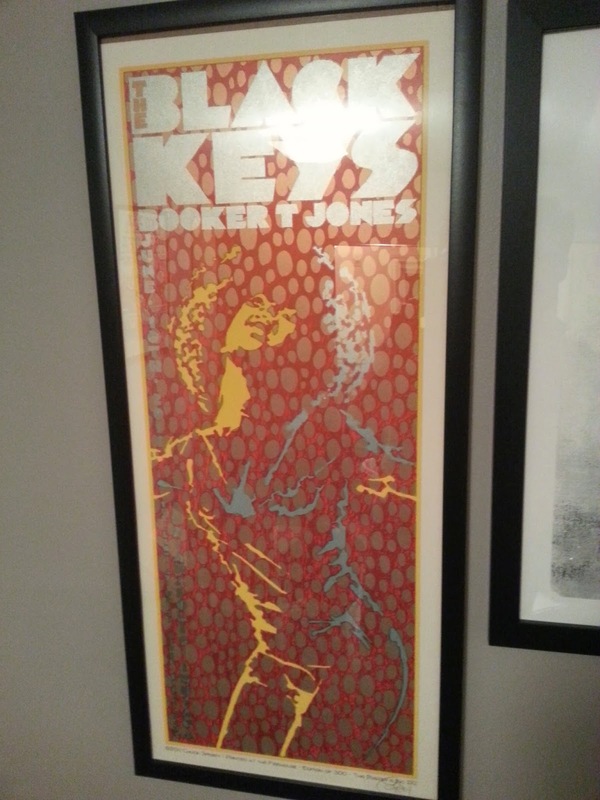 This was also my first experience of The Black Keys poster culture. Not knowing their gig posters had become a staple of experiencing their show, I neglected to buy one from the show before they sold out. 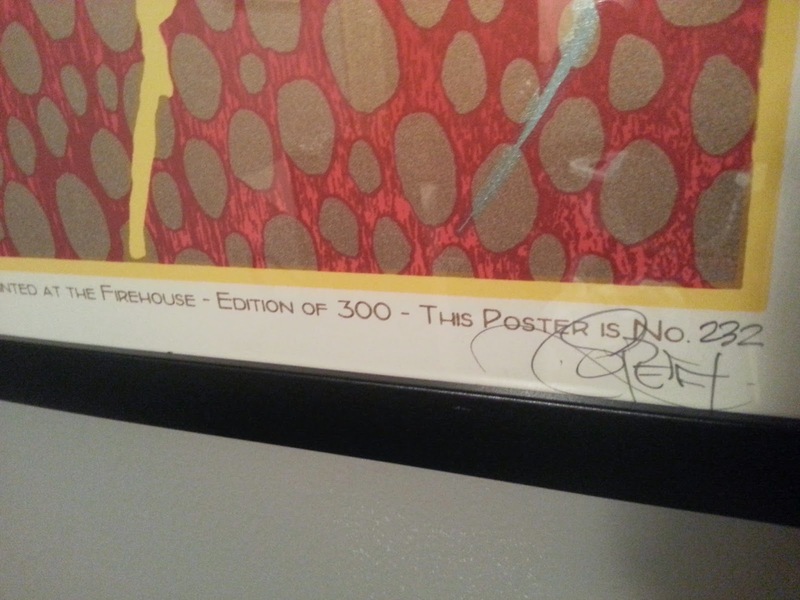 After I saw someone else with the poster, I knew I had to have it and realized I would eventually overpay for it on eBay days later. Although I have gig posters as far back as 1999 when I was in high school, this was my first real dive into the hobby. The art turned me on to it. The way that an artist can take a rock show and create something that represents the artist along with the city and venue was something that I was immediately into. The print is 15x35, which makes it stand out because of the long banner-like size. 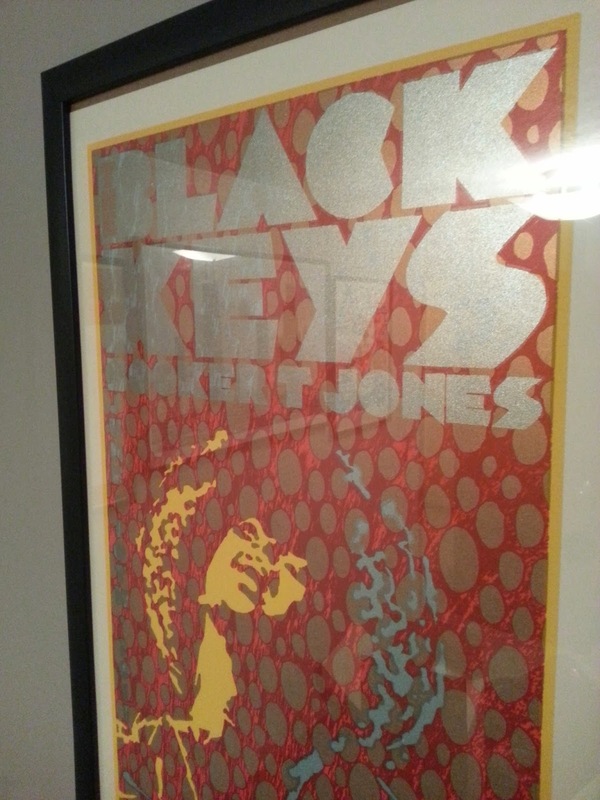 Although, I think I say this for every gig poster I post about, this one is the centerpiece of my collection. Its easy to rotate two normal sized 24x36 posters next to it, while making it the focal point. It was limited to 300 and came in two versions - regular and variant. Mine is regular and I believe Sperry only made 15 variant versions. "The Black Keys and Booker T Jones played White River State Park near Indianapolis, Indiana on Friday, June 10 to a record-setting audience of 8000 people (Park officials agreed to raise the capacity of the show for a one time event). I made this limited, signed and numbered, edition of 300 handmade silkscreen posters for this ridiculously cool event. The orange-brown color will be a copper-gold metallic blend and the blue is a blue-silver metallic. I was seeing a lot of portraiture of the band out there so I went for 70′s soul." 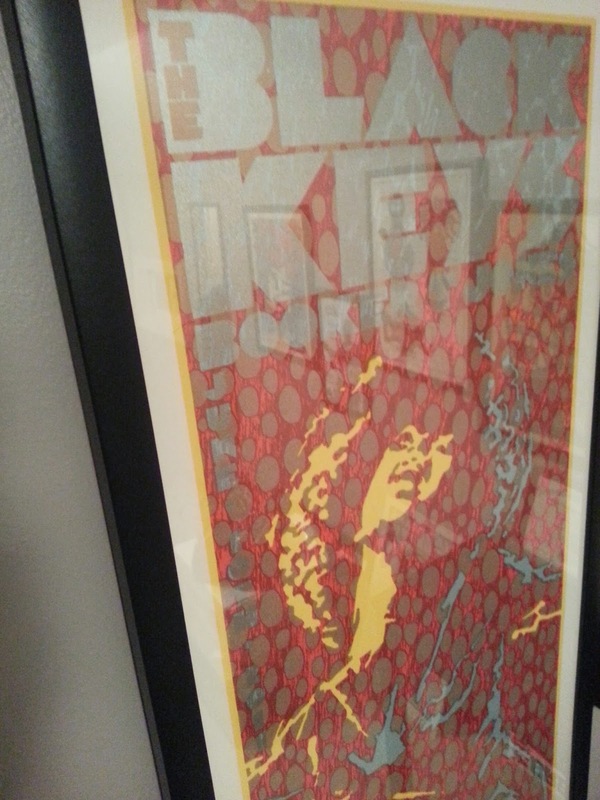 Sperry has some other great work he's done for The Black Keys, 311, Umphery's McGee and Widespread Panic. Check out his stuff on ChuckSperry.net.